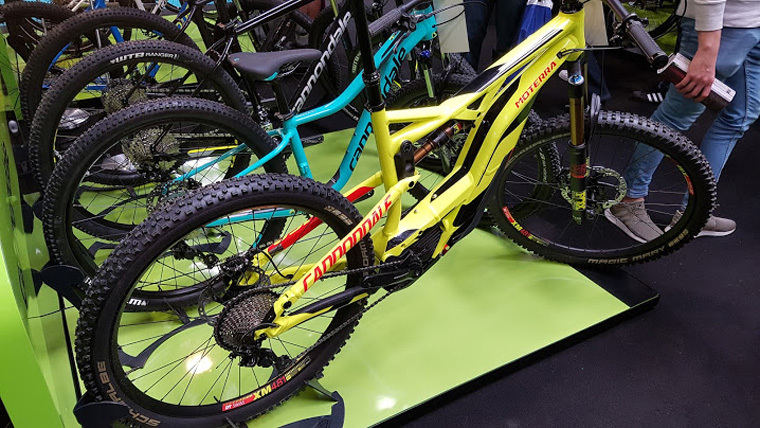 Show veteran, Wisper, used this year’s event to launch its new e-MTB models, the hardtail Wolf and full-suspension Wildcat come in alloy and lightweight T700 UD carbon models, both designed in-house at Wisper’s Kent HQ. 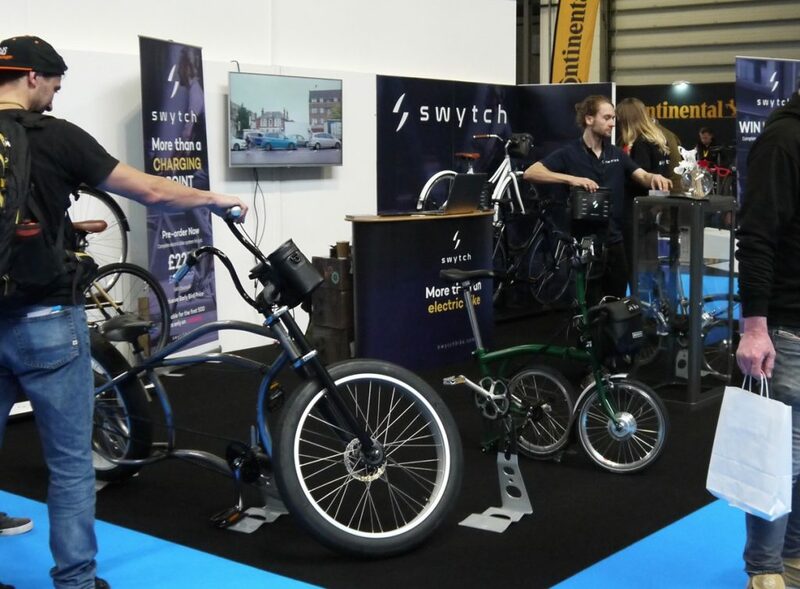 New to the Cycle Show – and the electric bike market for Autumn 2017 – is the SWYTCH conversion kit. 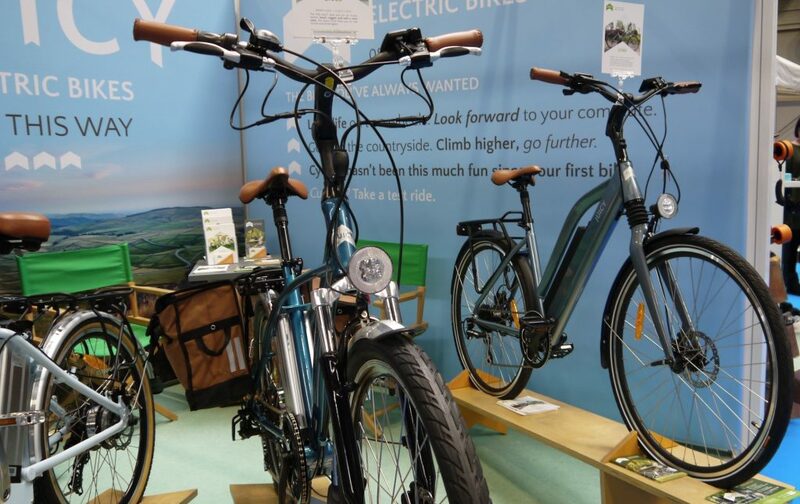 Oliver Montague’s curiosity in electric bikes piqued while working as an intern in the electric vehicle department of Jaguar Land Rover, when fellow cycle commuter and manager arrived sweat-free despite cycling further to work than Montague, courtesy of his Powabyke. Since his days of studying electromechanical engineering at Oxford, including walking off with the top prize for his invention of a new type of nanomotor, Montague worked both as a sustainability consultant while building electric bikes, initially part time and then moving on to found Panda eBikes. 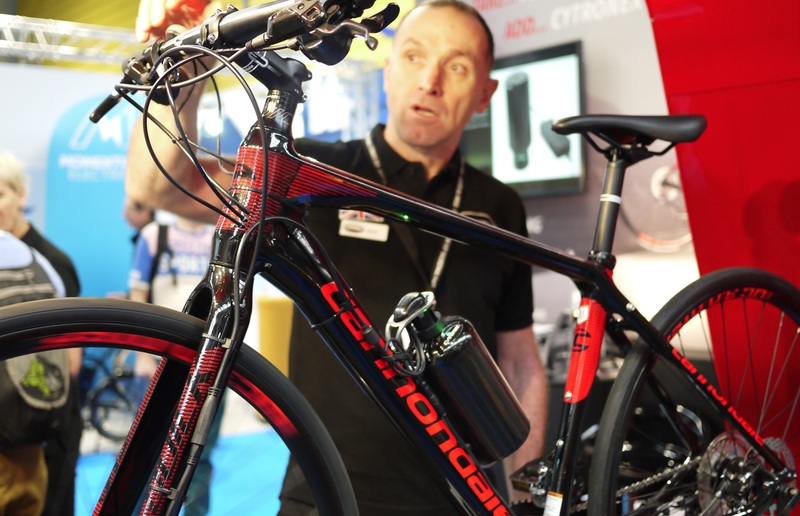 While the SWYTCH power bag is easily removed from the bike for security, minimal cabling and a small lightweight hub will also put the bike ‘below the radar of thieves’ says Montague. 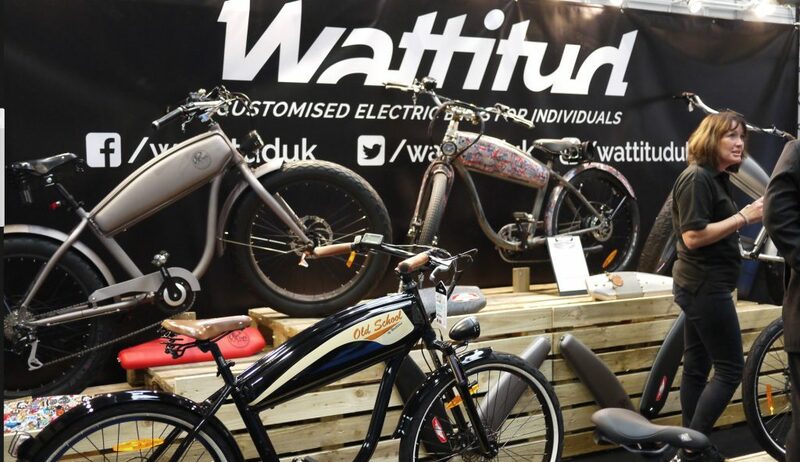 Montague says the company had “massive interest at the show from cycle share and hire schemes.” He explains: “You can fit any number of bikes with the motor wheel, connection bracket, and pedal sensor, which are all then ‘electric ready’. After that, the power units can be hired or loaned to those wanting to ride electric”. More details on the pre-order $299 price for the first 500 units can be found here. 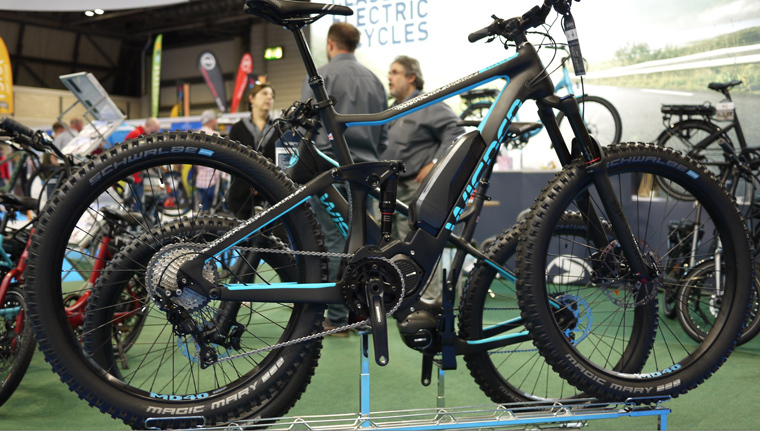 One of Cycling Weekly’s top five electric bikes featured on the Juicy Bike stand. 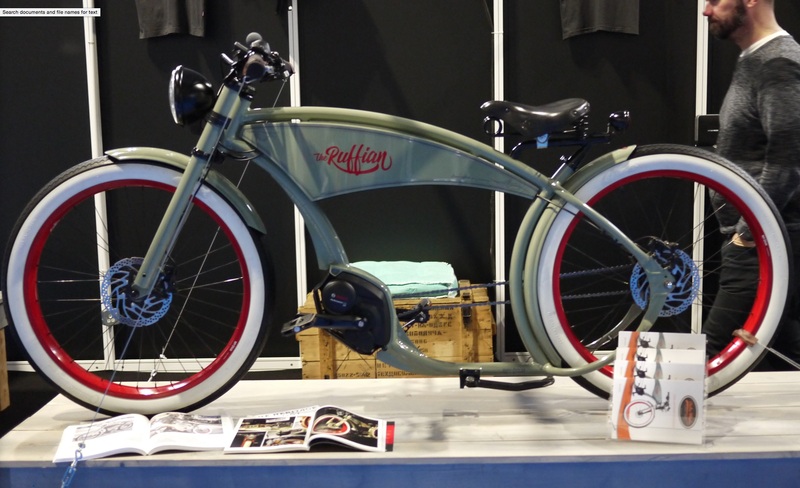 Introduced last year, the popular Juicy Roller was on display amongst the other classically-styled Juicy e-bike models this year. The Bosch indoor e-MTB test track was once again constructed by track builder Kye Forte. Cube, Cannondale, KTM and Mondraker models were lined up for visitors to take on the mud, ramps and banked corners. 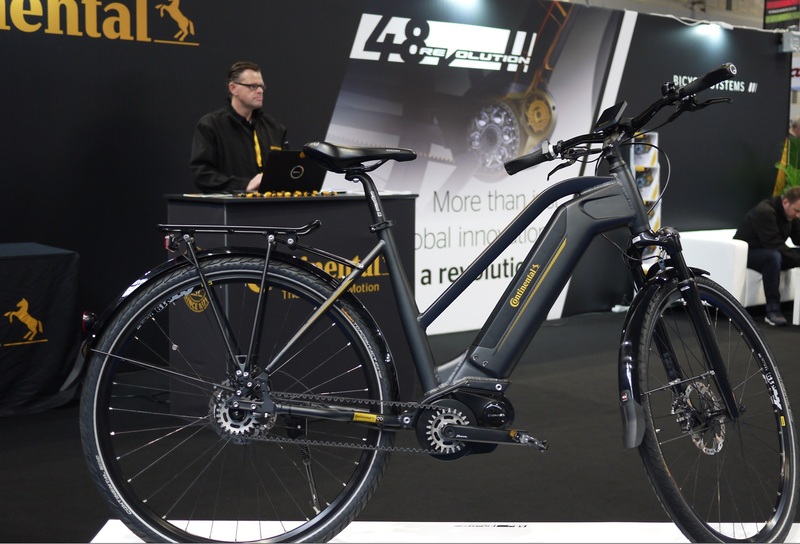 While Hall 12 is traditionally home to the dedicated e-bike zone and outdoor test track, floorspace elsewhere displayed numerous electric bikes from brands such as Cube, Bianchi, Whyte, Haibike, Cannondale, Mondraker and Kross. Wattitud’s first show lined up their 250w Vintage Cruiser models, which continue the aesthetics trend of motorcycle styling seen on brands such as Otocycles café racer and Electra Wheel’s Ruffian model, also showcased.